Kuuntele Tainaa Yle Puheen radiohaastattelussa 7.2.2018 ja lue Kulttuurikuuri-blogin sekä Helsingin Sanomien arviot esityksestä! Since November I’ve been dropping by in Taina Mäki-Iso’s rehearsals as a co-director. 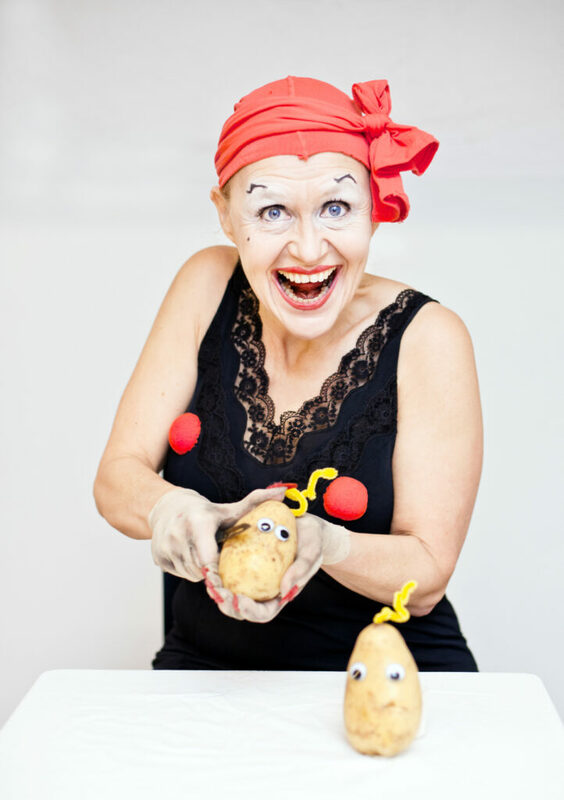 Mäki-Iso is working on a new clown solo dealing with classic Greek myth of Medea, a woman who took revenge against her unfaithful husband by killing her children. 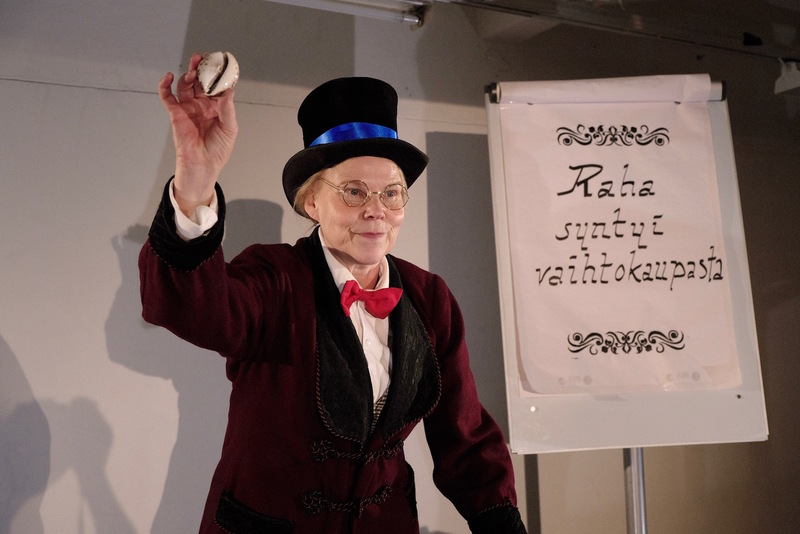 Mäki-Iso has become the Finnish grand old lady of clowning. She has taught most of the clowns in the country at some point of their careers and she is still in the business of goofing around. While working in Lappeenranta City Theatre eight years ago I invited Mäki-Iso to give a course to actors. Next year, 2011, we co-directed a clownery piece for children on big stage. The deal was that she directed the clowning and I directed the rest but it was such a good collaboration that we almost forgot that we had a deal. Ever since we’ve been looking for an opportunity to repeat the cooperation. So, here we are. The premiere is next Wednesday. Both Finnish and English speaking MEDEA: Clownish Rage Management is suitable for ten year olds, or older. Welcome! Find tickets and more info here and here.